Applications” symposium will host international scientists. The symposium which will host scientists from all over the world will be held on 6th to 8th of November 2013 at GAU Cyprus-Girne campus. AI: Neural Networks, AI and Evolutionary Algorithms, Developing Technologies, Intelligent Agent, Brain Models/Informatics Sciences, Expert Systems, Decision Support Systems, Computer Aided Teaching, Fuzzy Logic and Mechanical Learning, Intuitive Research Methods, Smart Databases. Engineering: Electro-Mechanic Systems, Power Engineering, Fuel Cells, Renewable and Alternative Energy Systems, Power Electronic and Drivers, Power Systems for Buildings, Power Systems, Signal Processing, Electronic, Measurement Systems, Digital Filter Design and structures, Antennas and Propagation, Voice/Speech Processing; Wavelet Processing, Computer Networks, Developments in Database Field, Software Engineering, Sea Wave Mechanic and Hydrodynamics, Design and Construction of Sea Structures, Earthquake Engineering, Computer Application in Civil Engineering, Construction Materials, Geotechnical and Soil Mechanics, Design and Construction of Pre-tensioned Concrete Buildings, Project Management, System Analyses, Signal Processing in Applications, Computer Feedback, Robotic, Pattern Recognition, Finger Print Recognition, Finance and Marketing, Education, Developing Applications, Military, Microwave Applications, Neural Networks, Face Recognition, Health Applications. 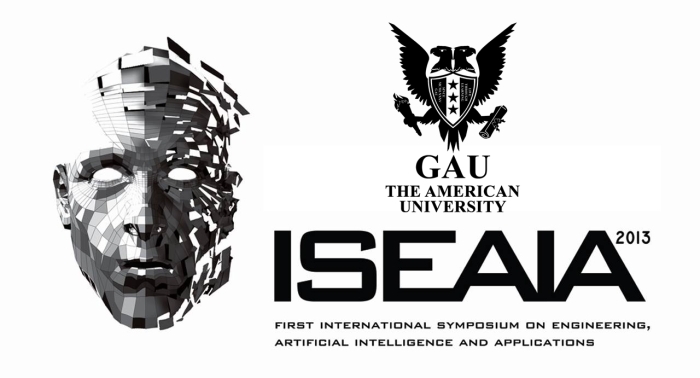 Please see www.gau.edu.tr and iseaia2013.gaueng.org or call Extension 1211 via 0(392) 650 20 00 for further details regarding terms and conditions for the admissions.